The Ramada Inn & Plaza Harbor West Sacramento today announced that TripAdvisor ranked it as the #1 business hotel in West Sacramento, rated "excellent" by travelers. In a study supported by TripAdvisor, 90% of travelers use on-line reviews to help determine hotel selection. West Sacramento Ramada Inn & Suites celebrates this recognition by honoring Business Travelers with a mid-week Manager's Reception. "We are very excited to earn this recognition by travelers, it speaks volumes to our service, accommodations and location," states Rick Gabrielsen, CEO of Kupuna Hospitality. 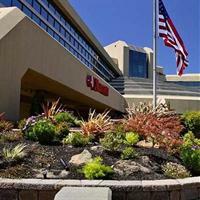 Under new Management, the Ramada Inn & Suites recently retained the services of Kupuna Hospitality to operate the 137 room full service West Sacramento hotel. The hotel hosts a mid-week Manager's Reception that welcomes all hotel guests to enjoy complimentary food and beverage. "It is our way of saying thank you for choosing us," says Denise Giddings, General Manager. For all its left-field heritage, San Francisco is strangely lacking in a decent supply of imaginative, cool hotels with which to satisfy the needs of curious tourists of an "alternative" bent. In fact, no boutique hotel has opened in the city for several years. Instead, multinational chains predominate. But, this being San Francisco, they come with a twist. Boutique hotel operator Morgans Hotel Group Co. said Tuesday it has sold an L.A. hotel to an affiliate of Pebblebrook Hotel Trust for $137 million. The deal for the Mondrian Los Angeles amounts to $580,000 per room. Morgans will continue to operate the hotel under a 20-year management pact that includes an option for a 10-year extension. Morgans said it used a portion of the proceeds, along with cash in escrow, to pay off $103.5 million in mortgage debt secured by the property. Net proceeds, after the repayment of debt and closing costs, are about $40 million. Morgans anticipates using the rest of the proceeds, along with gains from the planned sale of the Royalton and Morgans hotels in New York, to refinance debt. Spring is in full swing, and once again the historic Millennium Biltmore Hotel Los Angeles is celebrating with a lavish Easter Sunday brunch buffet, set in Smeraldi's Restaurant and the hotel's original 1923 lobby, the famous Rendezvous Court. Sunstone Hotel Investors Inc., said Tuesday it has agreed to take a 75% controlling stake in the Hilton San Diego Bayfront for $475.0 million. The company's first quarter-to-date revenue per available room increased about 5.4 percent as its gateway markets and recent acquisitions continued to outperform expectations. For its 32 hotel Comparable Portfolio, which excludes the Royal Palm Miami Beach Hotel, Sunstone expects RevPAR or revenue per available room to rise 5.4 percent for the first quarter. Sunstone revealed a definitive agreement of $475.0 million to acquire the 75% majority interest in a joint venture that owns the 1,190-room Hilton San Diego Bayfront located in San Diego. The valuation translates into about $399,000 per key. Thompson Hotels' Hollywood Roosevelt Hotel has completed a renovation that redesigned the historic Cabana Rooms and added three entertainment venues — the Public Kitchen & Bar, The Spare Room and Beacher's Madhouse. Like any classic Hollywood star, Thompson Hotels’ Hollywood Roosevelt Hotel has continuously reinvented itself over the years, and the iconic 300-room hotel has once again seen a rebirth with the redesign of the historic Cabana Rooms and the debut of three innovative entertainment venues: Public Kitchen & Bar, The Spare Room and Beacher’s Madhouse.